Chances are you’ve noticed the “adult coloring book” trend and may even have jumped on the bandwagon by now. According to best-seller rankings on Amazon, adult coloring books have consistently been among the top-selling books in the U.S. over the last year. So what is it about coloring complex, predrawn images that so many adults find appealing? It turns out that it’s more than just a childish pastime. In fact, your brain experiences multiple benefits from coloring. 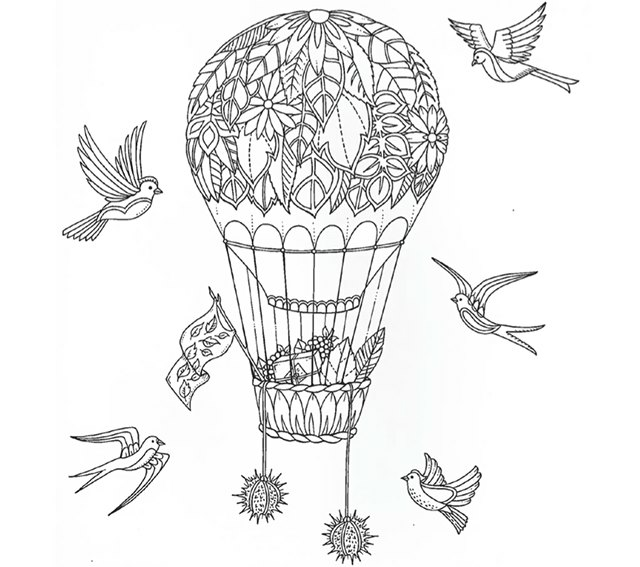 Here are seven measurable benefits you may experience with coloring. Research in 2005 showed that anxiety levels dropped when test subjects colored in mandalas and plaid designs for 20 minutes. 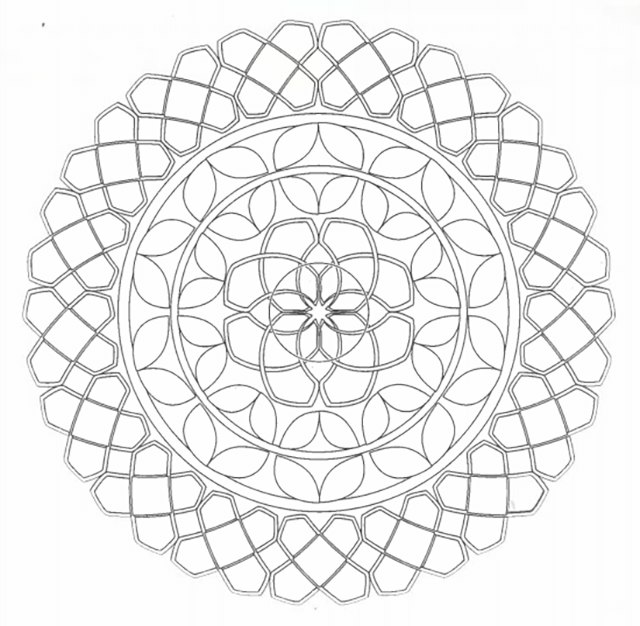 Coloring on a blank piece of paper, however, had no influence on anxiety levels. These findings suggest that coloring in geometric patterns creates a stress-reducing mental effect, more so than simply doodling or free drawing. The researchers hypothesized that geometric coloring induces a meditative state in the brain, a beneficial result for individuals suffering from anxiety. Other research has shown that art therapy, such as adult coloring books, is helpful for those dealing with chronic illness. In one study, chronically ill women who participated in their preferred form of visual art were distracted more often from thoughts of their pain and illness. They also experienced a marked boost in mood. Another study found that women with cancer who did mindfulness-based art therapy had both a significant decrease in their symptoms of distress and an increase in their health-related quality of life. A primary explanation for the stress-alleviating effects of adult coloring books lies in the principle of mindfulness. Mindfulness is the practice of awareness of the present moment — simply bringing attention to the here and now. Similar to meditation, focusing on the present moment allows the brain to take a break from potentially stressful or negative thoughts. Focusing intently on a specific project, such as coloring a complex design, can be a particularly effective way to practice mindfulness, especially for people who aren’t comfortable with meditation. Coloring uses both the right and left hemispheres of the brain, creating a mental experience that’s balanced between logic and creativity. It utilizes areas of the brain concerned with focus and concentration as well as problem-solving and spatial organization. And although decision-making in the prefrontal cortex is involved with choosing colors, very little is at stake. After a long day of making hard choices, participating in a simple task that requires relatively little skill may provide a soothing sense of accomplishment. It also relaxes the amygdala, the brain’s fear center, which reduces overall stress. What does you brain look like on coloring? Brain scans taken while subjects colored in pictures show that measurable changes take place. For instance, the scans showed that coloring produced calming alpha waves in the brain, as opposed to the alert beta waves experienced in active thoughts. Just like in other forms of relaxation, adrenaline levels in the brain decrease while raising levels of dopamine, a neurotransmitter often referred to as the “chemical of reward.” Your brain releases a pleasurable hit of dopamine every time you accomplish a task or goal, letting you know you’ve done a good job. Many people spend time looking at their smartphone, tablet, computer or television before bed and then subsequently have a hard time falling asleep. Blue light emitted from electronic devices lowers your levels of the sleep hormone melatonin, which can disrupt circadian rhythms and contribute to insomnia. 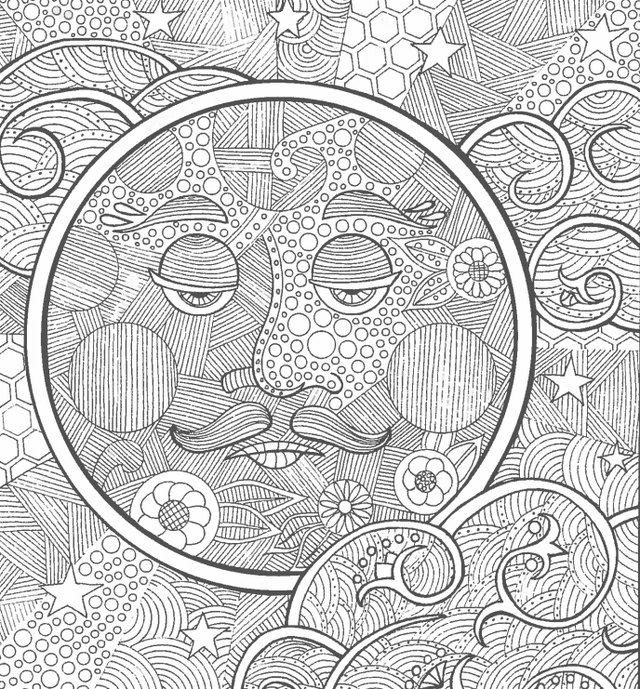 Coloring books provide a relaxing, screen-free alternative bedtime activity, ideal for winding down before sleep without throwing off melatonin levels. Coloring also evokes simple nostalgia, reminiscent of a time when life’s greatest challenge was coloring within the lines. A 2015 study found that creative individuals experienced higher levels of overall positivity and motivation. 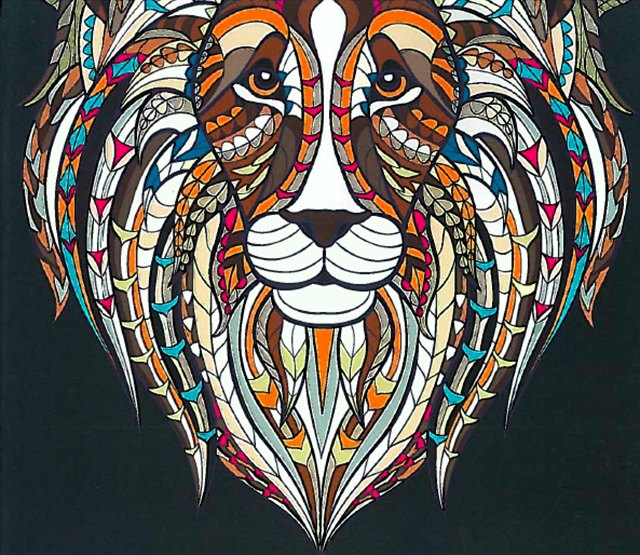 Coloring can tap into cathartic memories and emotions, which are highly enjoyable. Just like a child with a new coloring book and fresh box of colored pencils delights over a new work of art, adults can find simple pleasure in the act of coloring. Children color for the joy of it, because it’s fun — and that’s something most adults could use more of. If you haven’t colored since the 1980s, it’s time to dust off your colored pencils and give it another go. Print out these five images, take a mental time-out and enjoy the calming benefits. Happy coloring! Calm your mind with this serene underwater image from the Secret Garden coloring book. 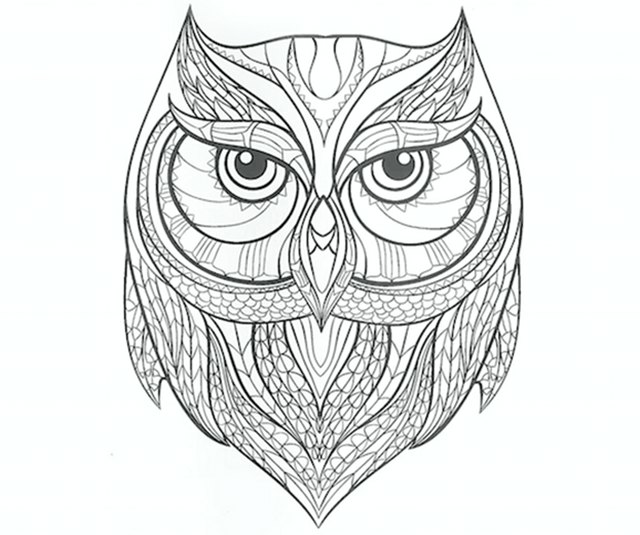 Connect with your spirit animal with this image from Blue Star’s Animal Designs coloring book. 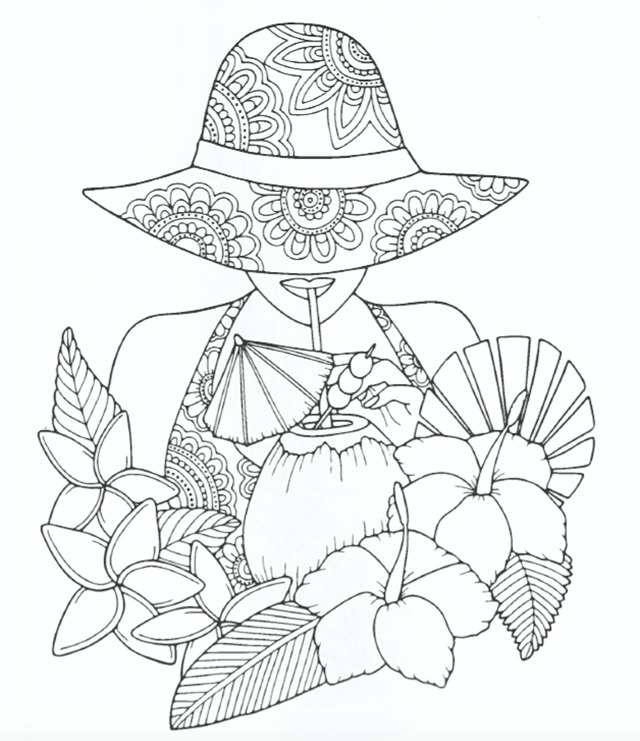 Get lost in this sultry image from Her Coloring Book. Take a mental vacation with this image from Blue Star’s Tropical Travel Patterns coloring book. 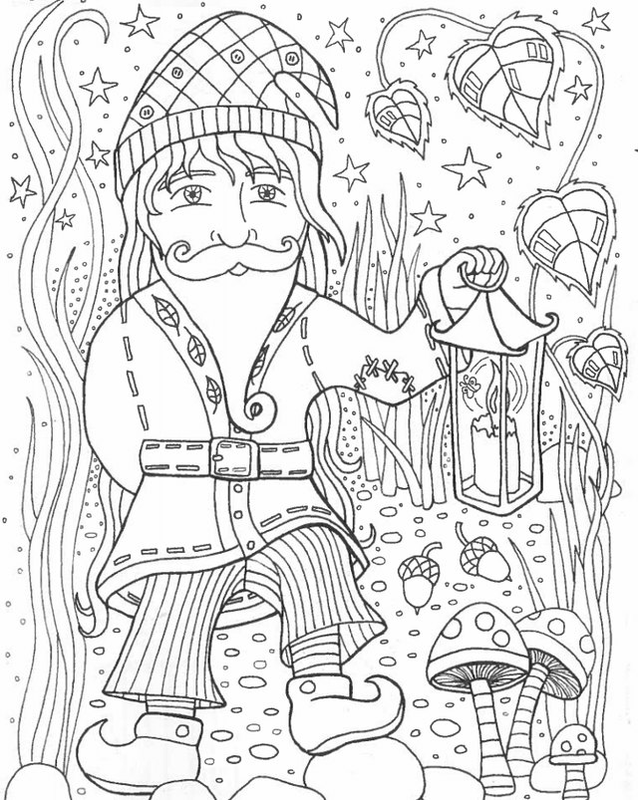 Tap into your inner child with this image from the Enchanted Forest coloring book. 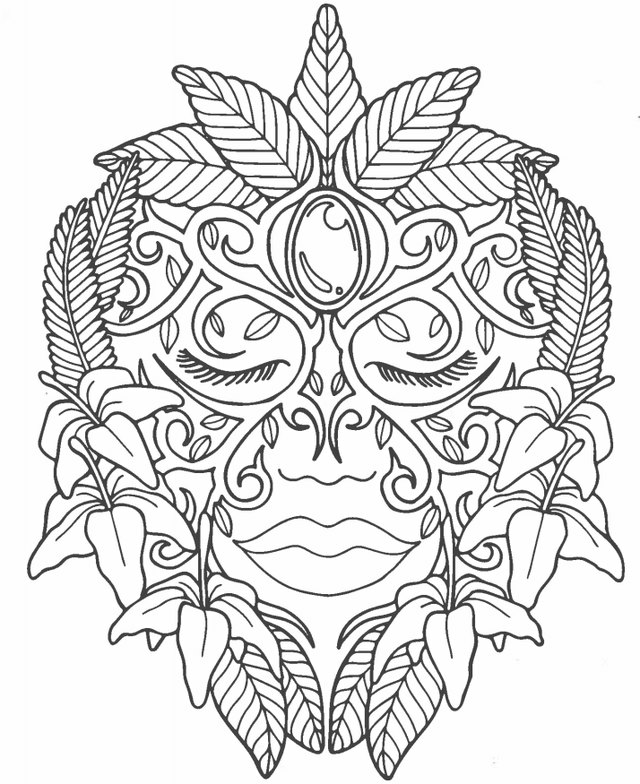 Have you tried your hand at adult coloring yet? Do you find it relieves worry and stress? Let us know in the comments below! ← They Look Like Any Other Couple, But Their Story Of True Love Will Make You Cry.